Low-intervention or ‘natural’ beekeeping focuses on enabling good bee colony health through an approach which regards the bees as a valuable holistic super-organism – as health and natural behaviours are the priority, it is not focused on honey production (it is apicentric, that is bee-centered, rather than honey-centric), and is less disruptive to the bees than current conventional beekeeping practice. We believe low-intervention techniques are desirable because bees face increased stresses from imported pests and diseases, and modern agricultural methods. This means that the more intensive and intrusive “bee farming” techniques developed by the Victorians and generally continued in today’s conventional beekeeping are no longer appropriate, especially in an environment of agricultural monoculture and massive pesticide use. We prioritise bee health, colony/super-organism integrity, and natural behaviours over honey production and believe our approach reduces artificial stresses and produces healthier bee strains in the long term. allow natural swarm behaviour. Swarming is the way in which bee super-organisms reproduce. Most conventional beekeepers try to prevent this behaviour by various means, such as preventing the Queen from leaving by clipping her wings or using a restrictor on the entrance, or by removing new Queen cells – they view the creation of a swarm as a set-back in honey-production. We view swarming as a sign of a healthy colony, and through careful observation can determine when bees are likely to swarm and either set up bait hives to lure the swarm to settle nearby, or try to catch and re-home them once the swarm emerges. use local bee strains and do not import foreign bees or queens or use artificial ‘package’ bees. 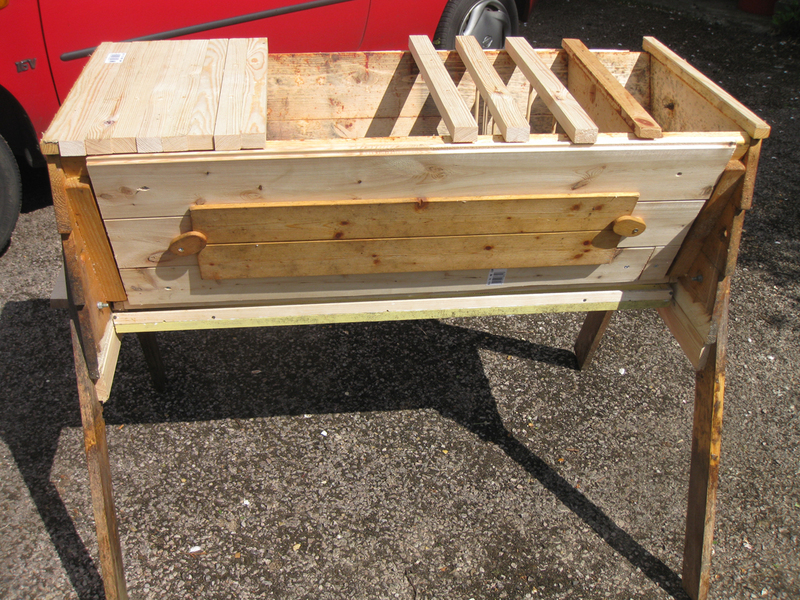 Apart from reducing the risk of importing parasites, this ensures the bees are adapted to local conditions. For example, Italian bees are sometimes imported en masse to boost bee farmers’ stocks. These aren’t used to long cold winters with zero food availability, so they keep laying young (which require heating and feeding) and lay in insufficient stores for the winter. It takes them a couple of years to adapt, and their drones dilute the local strains which are better adapted to rain and cold. only take truly surplus honey unlike many conventional beekeepers who will take most of the honey and rely on feeding sugar syrup. We will not take any honey from a colony in its first year, and thereafter carefully judge if a colony has sufficient stores to take it through the winter (normally by ‘hefting’ the hive to determine its weight) before deciding to take any surplus. If in any doubt we leave the honey for the bees as there is no substitute food we can provide that can truly replace it – honey does not just consist of sugar, but has many micronutrients within it essential to bee health. Some low-intervention beeks do not take any honey, or only take honey in spring, after the winter stores have served their purpose. The whole approach results in us being much more enagaged in observing, enabling, and respecting the natural behaviours of bees – intervening only where we feel we can assist natural bee behaviours, such as offering supplementary feeding when a colony has insufficient winter stores (due to forage conditions, not because we have stripped them of honey), or helping restrict hive entrances when predators, such as wasps, attack. 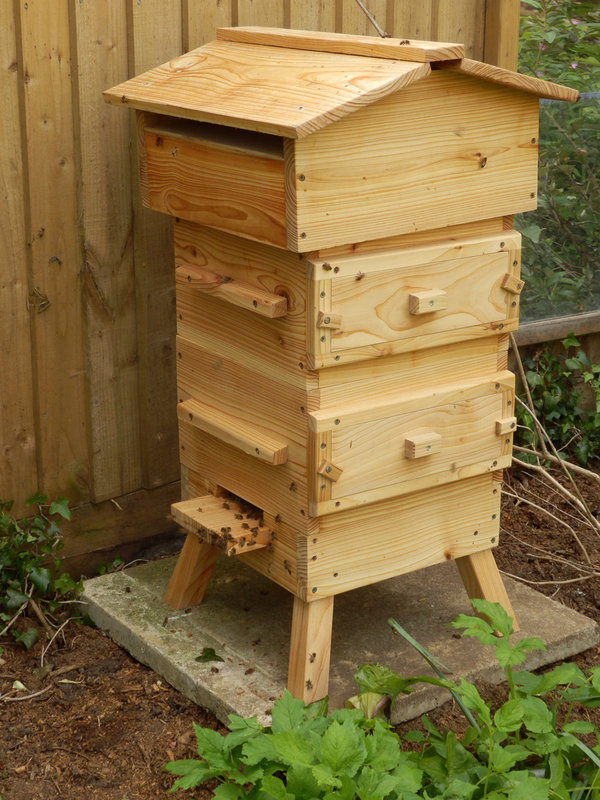 As an aid to these practices many ONBG members use Horizontal Top Bar and Warré hives, although low-intervention principles can be used in any hive especially if foundation wax and frames are avoided.